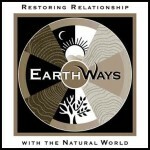 EarthWays LLC is a collective of passionate and capable wilderness guides, committed to restoring relationship with the natural world by bringing people out into direct connection with the profound guidance of the wild earth. We know that through earth-based practices a sustainable relationship to ourselves, our communities and to all of life is revitalized. We offer custom designed programs for individuals and all kinds of groups. There are many uses for a nature based experience including celebrating a significant event, fostering community building, navigating change, loss and transition, resolving conflict, creative visioning…or whatever the unique purpose might be. To mark their transition into adulthood. EarthWays offers customized practice of council and seasonal day quests for both public and private secondary school programs upon request. Certain guides are MFTs and offer individualized nature based therapy for teens and young adults.